Welcome to another edition of Penguins of The Week! 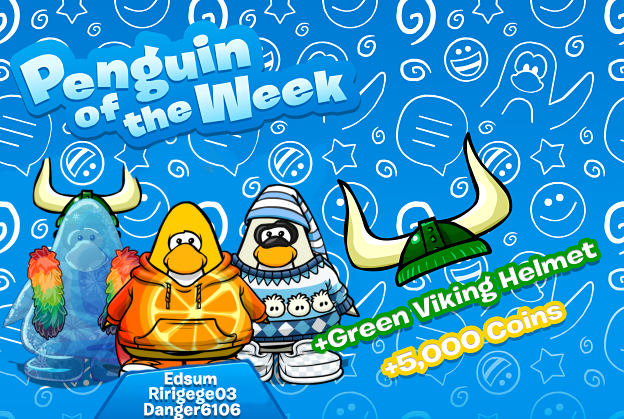 This week we'll be rewarding the users Danger6106, Edsum and Ririgege03. Congratulations! We will be hosting another #ModMeetup event tonight. We have seen such a huge increase in new users over the past week, averaging about 10,000 new registered and activated accounts per day! 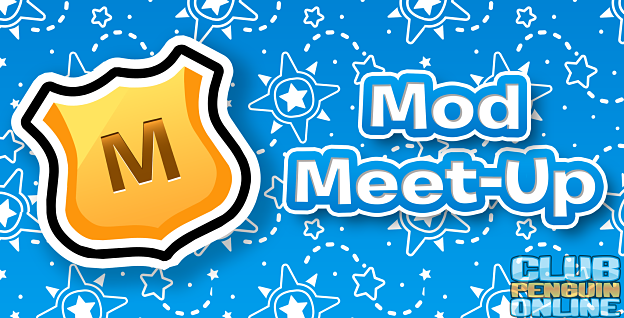 Attending this #ModMeetup will give you the chance to meet new people, the staff, and the ability to ask the administrators anything regarding Club Penguin Online. Welcome to another edition of Penguins of The Week! 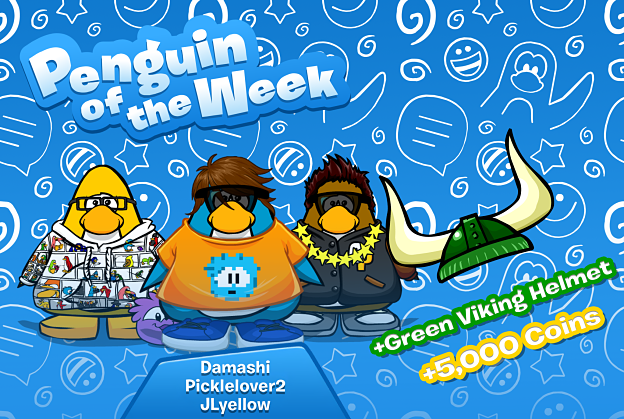 This week we'll be rewarding the users Picklelover2, Damashi and JLyellow. Congratulations! Last night we released the 2 Million Party, to celebrate our amazing achievement of reaching 2 million registered and activated penguins! We could not have achieved this without our amazing supporting community, so thank you all for spreading the word about Club Penguin Online. Tonight we'll be hosting another #ModMeetup. 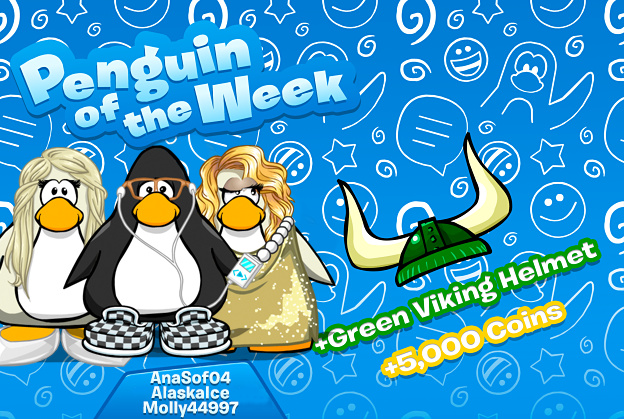 Make sure to be wearing your new party hats and the new custom items that will be released in a code later this day. Welcome to another edition of Penguins of The Week! 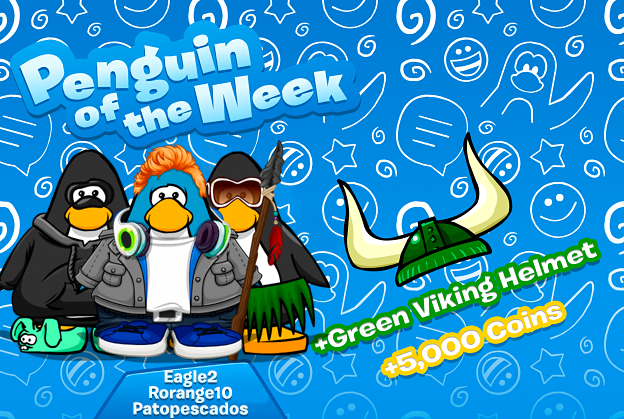 This week we'll be rewarding the users Rorange10, Patopescados and Eagle2. Congratulations! Tomorrow we'll be returning #ModMeetup! As you're all aware, the Prehistoric party is currently going on, and it's receiving many positive feedback. We're currently experiencing the most amount of users online, which is amazing! Make sure to attend this MMU by wearing your best prehistoric outfit. 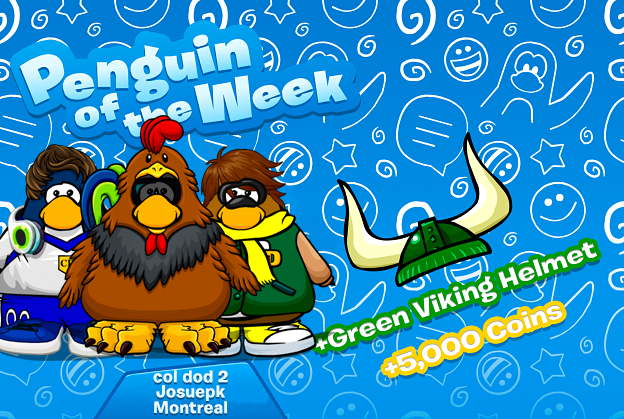 The moderators will be picking 5 lucky penguins with the best outfit, winners will receive 5,000 coins. Welcome to another edition of Penguins of The Week! 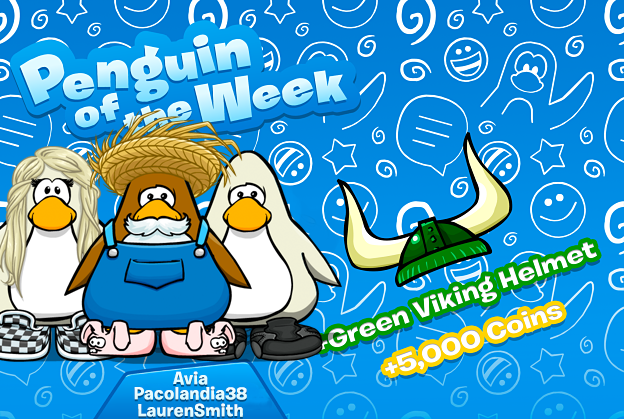 This week we'll be rewarding the users Avia, Pacolandia38 and LaurenSmith. Congratulations!